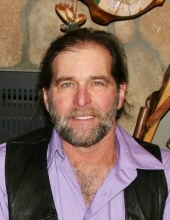 Celebrating the life of Thomas Edward Schell, Jr.
Obituary for Thomas Edward Schell, Jr.
Thomas Edward Schell, Jr., 54, a lifelong Lapeer resident, died Sunday March 24, 2019 surrounded by family. He was born May 9, 1964 in Detroit to parents Thomas and Gayle (See) Schell, Sr. Tom married Dawn M. Armstrong on July 17, 1998 in Lapeer. Tom was a Master Craftsman. He was a carpenter by trade who owned his own construction business. He loved deer and duck hunting, fishing and riding his Harley. Tom loved his time spent with family and friends. Mr. Schell is survived by his wife: Dawn, son: Scott (Amber) North of Millington, parents: Thomas and Gayle Schell, Sr., grandchildren: Kayden; Hailee; Aubrey; Noah, sisters: Jessica (David) Kayfes; Jackie (Jayme) McKay; Elizabeth (Craig) Partridge as well as his nieces and nephews. The family has entrusted Muir Brothers Funeral Home, Lapeer with cremation. The family will receive friends and family at a gathering, 4:00-8:00pm Wednesday at Muirs. Tom’s memorial service will be 11:00am Thursday March 28, 2019 at Muirs officiated by Pastor Drew Jolly. Family will receive friends from 10:00am- the service on Thursday. "Email Address" would like to share the life celebration of Thomas Edward Schell, Jr.. Click on the "link" to go to share a favorite memory or leave a condolence message for the family.